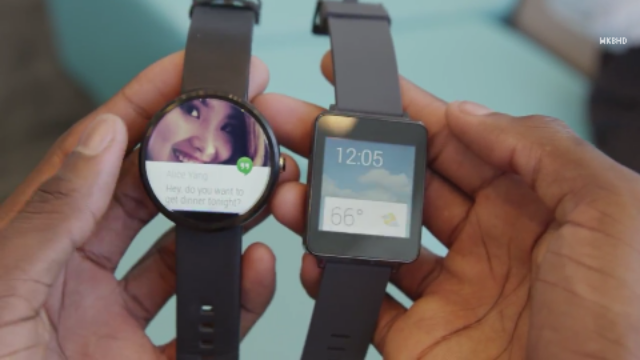 I think the Moto 360 looks way to much like a watch. Quite ugly really. Wristwatches died years ago. Most people doesn't want to use them anymore. A wearable device needs to be something else, it should not look like a watch, it should not focus on the time. It also needs to have features that make the users not having to use a smartphone. Innovative features that helps the user. And it need to have an incredible user experience so that its not get annoying to use it. And it also need to have a really great battery life or a very innovative way charging it without hassle. Micro-USB is not the solution. I have a hard time believing that the Moto 360 is the right wearable device for this. It's too rounded and small. It will not be much more than a notification center and nothing else. And all the voice based features need international support to be a success. That's why the Moto X failed internationally (never released). It can't succeed without support outside English talking countries. It's the same thing for both Google Now and Apple Siri too. It needs international support to succeed. That's why I hope that Apple will release the wearable device we are all waiting for.